Nozomi is a 19-year-old student with a bangs hairstyle who works at the influential Harajuku resale boutique San To Nibun No Ichi. 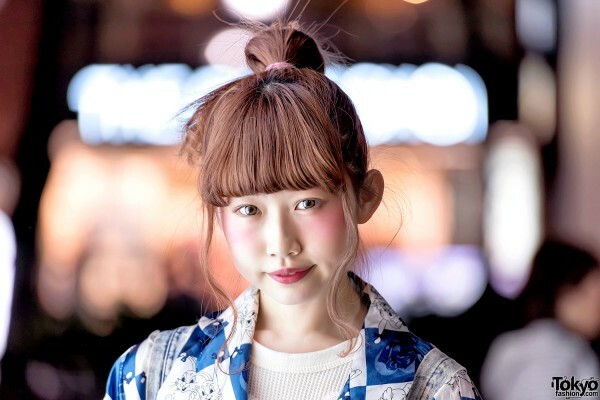 When we met her on the street in Harajuku, she was wearing a cartoon rabbit print coat from Kiki2 in Koenji over layered tops from Funktique Harajuku and another resale shop, lavender pants that she purchased in Koenji, and Tokyo Bopper ribbon laced platforms. 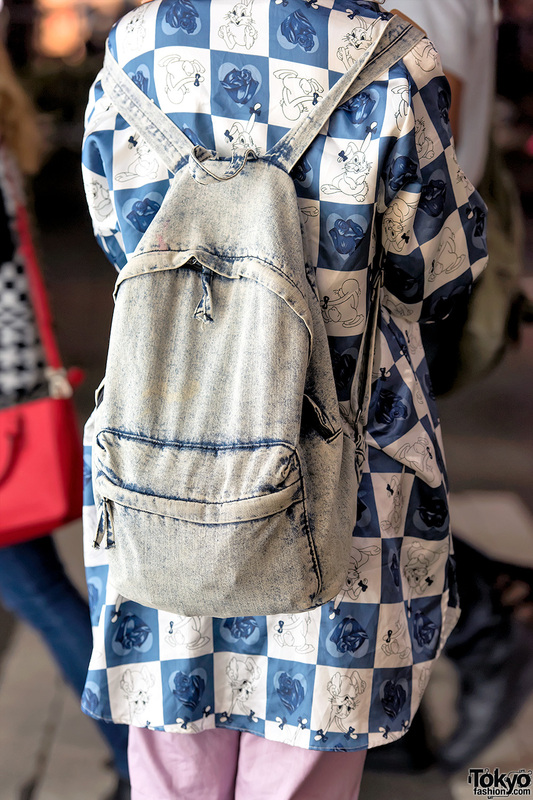 Her acid wash denim backpack is from H&M. Nozomi’s favorite shop is San To Nibun No Ichi and she likes legendary designer Vivienne Westwood. Her favorite band is the 90s Shibuya Kei group Flipper’s Guitar. Find her on Instagram and Twitter for more pictures!